Recycling games can be a great educational tool for children and adults. They also provide a fun way to share your environmental views with your family and friends. The obvious purpose of a recycling game is to educate a child or adult about the impact and importance that recycling has not just on a global scale, but a very personal one. The challenge of an educational game is to make it fun and exciting for the player, while still conveying the environmental message desired. 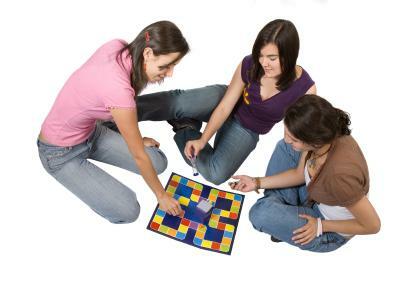 There are several kinds of recycling games that are available from online games to board games. You can find quite a few free games online. If you're a teacher, you'll be thrilled to learn that many of the free games offered can be printed out and used in your class to help your students learn about recycling. These games range from simple word finds to picture games that involve identifying recyclables and provide children the opportunity to color the picture. In this online game, you play the City Manger of Dump town. The game begins with the town totally littered and polluted. There is a landfill, but when you begin the game, there aren't any recycling programs in place and a landfill. You are challenged to start ten new environmentally friendly programs and to get the town involved. Each new program visually changes the town on your screen. You also must manage the town budget and get to see the waste you are actually saving from going into the landfill. This is a great way to teach your child about recycling in the home. The online game features Gus, a large gorilla dressed in a superhero outfit complete with a cape. Your mission is to assist Gus in cleaning up the park by deciding which of the three bins to use for each item. Some items will be simply trashed, while others will go in the recycle bin or the compost bin. Some items can be either composted or recycled. The park is constantly littered with things such as milk cartons, plastic bottles, paper, banana peels, apple cores, cell phones, and a variety of other refuse. At the end of the game, your score is tallied with how many items you recycled correctly and how many you placed in the wrong receptacle. The game is timed, so you want to recycle as many items as you can within the allotted time. This website offers two online flash games and is the Internet gateway for a book by the same title that documents 15 children from different countries who took action to remedy an environmental issue in their towns and cities. The two games are Cleanup and Recycle. This website is sponsored by the North Carolina Division of Pollution Prevention and Environmental Assistance and one part of a three-prong social marketing awareness. This website offers an online quiz, PDF coloring book, PDF Activity Book, PDF Bingo game boards, Free Trading Card Game mailed upon request, and three online games that include Packman Recycling Game, Operation Recycle, and the National Geographic Kids' Recycle Roundup. While recycling games can be fun activities for children and adults alike, the long-range desired effect is to instill and inspire behavioral changes. If a child comes from a home environment where recycling isn't practiced, then exposure to a recycling game and the overall message typically carries over into the child's home life. Perhaps the child will inspire her parents to start recycling at home, or at the very least will have a discussion with her parents about recycling. Heightening awareness and the necessity for recycling is the ultimate educational value of such games.